TEHRAN/WASHINGTON, D.C. – Iran warned on Thursday that it will quit a landmark nuclear deal with world powers if President Donald Trump pulls the U.S. out of the accord. 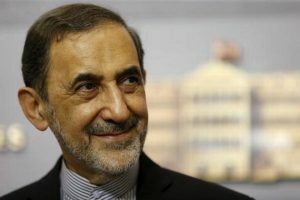 Mr. Velayati also warned against any move to try to renegotiate the deal signed by Iran and six world powers in 2015 curbing Tehran’s nuclear programme in exchange for sanctions relief. “Iran accepts the nuclear agreement as it has been prepared and will not accept adding or removing anything,” he said. Mr. Trump has all but decided to withdraw from the nuclear accord by May 12 but exactly how he will do so remains unclear, two White House officials and a source familiar with the administration’s internal debate told Reuters on Wednesday. There is a chance that he might choose to keep the U.S. in the international pact, in part because of “alliance maintenance” with France, the source said. The White House official said Mr. Trump was “most of the way there toward pulling out of the deal but he hasn’t made the decision” and that he “seems poised to do it but until a decision is made by this President it is not final”. Top aides are not seeking to talk Mr. Trump out of withdrawal because he seems intent on it, a second White House official said. Next articleWhy was this year’s Nobel Prize in Literature postponed?